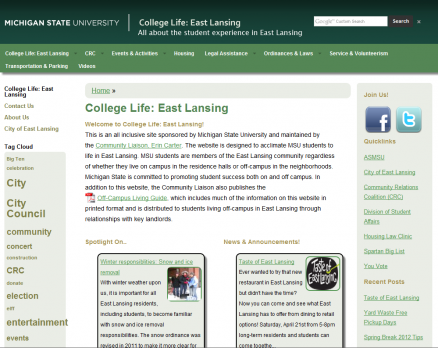 While an undergrad working for the Community Relations Coalition of Michigan State University as a Website Strategist, it has been my responsibility to maintain and update content on the College Life: East Lansing page. This included creating content for events, and researching information when necessary. The other task with the website has been to redo the layout of the site so that it better reflects the changing content. 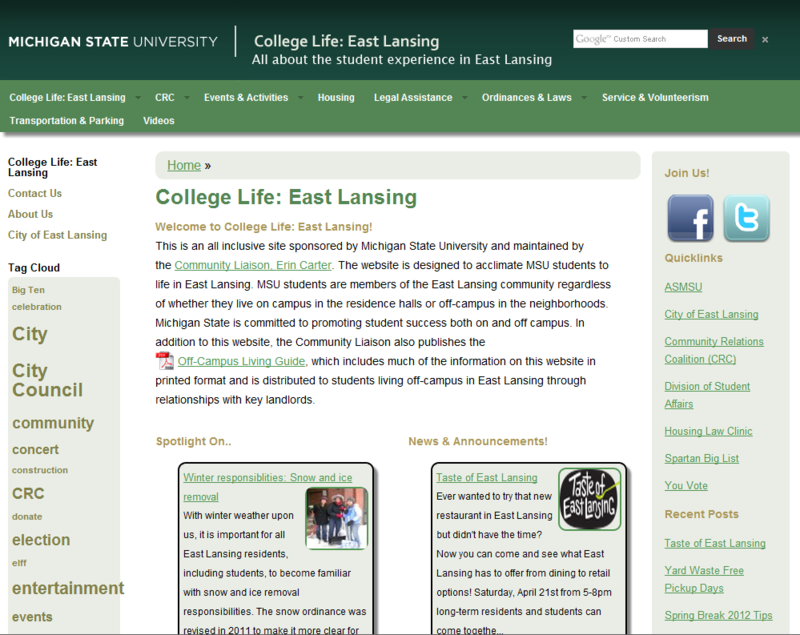 To do this a custom WordPress theme is being created and will be launched within the next semester. Technologies used include WordPress and Adobe Dreamweaver.